Kevin, Mary, and Steve Ditto are from Westlake, Ohio. Mary and Steve are married, and Kevin is Steve's brother. 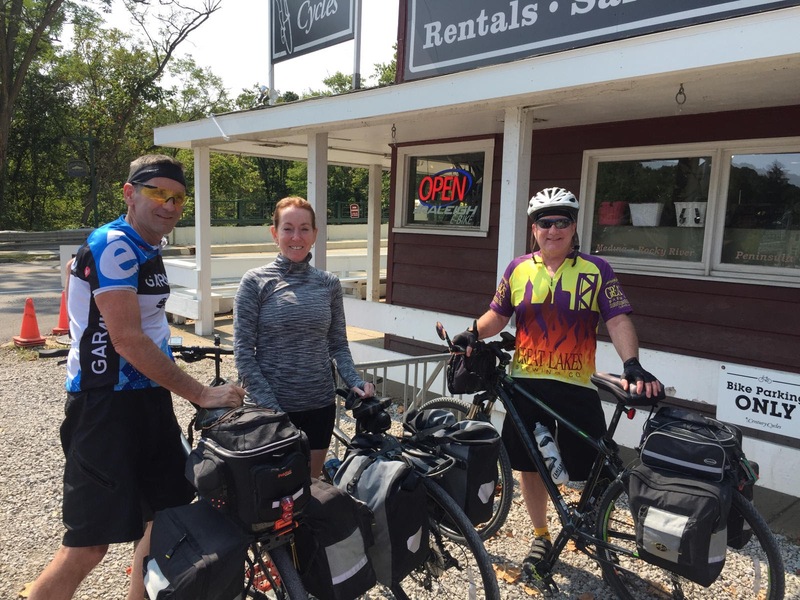 They set out from Cleveland on September 10, 2017 on the Ohio to Erie Trail bicycle route. 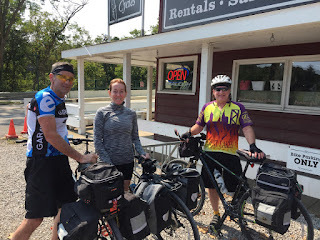 During that first day's ride, the stopped by the Century Cycles store in Peninsula. Their overnight destination for the day was downtown Akron, and they expected to reach Cincinnati yesterday (Friday, Sept. 15). Hope you had a great trip!